Assets under management in the Robo-Advisors segment amounts to US$980,541m in 2019. Assets under management are expected to show an annual growth rate (CAGR 2019-2023) of 27.0% resulting in the total amount of US$2,552,265m by 2023. In the Robo-Advisors segment, the number of users is expected to amount to 147,018.4 thousand by 2023. The average assets under management per user in the Robo-Advisors segment amounts to US$21,421 in 2019. From a global comparison perspective it is shown that the highest assets under management is reached in United States (US$749,703m in 2019). The Robo-Advisors segment contains private asset management providers who offer automated online portfolios in which private investors can choose investment volumes depending on their scope and private appetite for risk. Providers such as Wealthfront, Schwab Intelligent Portfolios and Betterment allow private and/or institutional investors to invest their money (starting at very small amounts) in pre-existing portfolios, which are automatically managed by individually configured algorithms. The advantage of these services lies in the passive role of the investor, who may not want or cannot afford ongoing personal monitoring of their portfolio development. Such automated investment services also allow for attractive returns with low starting capital and without specific investment know-how, which is in contrast to classic investments offered by traditional banks. In the Robo-Advisors segment, financial figures show the assets under management of automated online portfolios. Online brokers without automated and recommendation-based advisory functions are not included in this segment. Reading Support Assets under Management in the Robo-Advisors segment amounts to US$980,541m in 2019. Reading Support The Robo-Advisors segment is expected to show a growth in Assets under Management of 47.1% in 2020. The “Assets under Management” (AuM) box shows the forecasted AuM development of the selected market (market segment, region) in for each year (stock). Assets under Management Growth :The "AuM Growth" box shows the year-over-year changes in assets under management of the selected market (market segment, region) in percentage terms. A definition and detailed explanation of the displayed markets can be found here. Reading Support In the Robo-Advisors segment, the number of users is expected to amount to 147,018.4 thousand by 2023. Reading Support User penetration in the Robo-Advisors segment is at 0.6% in 2019. 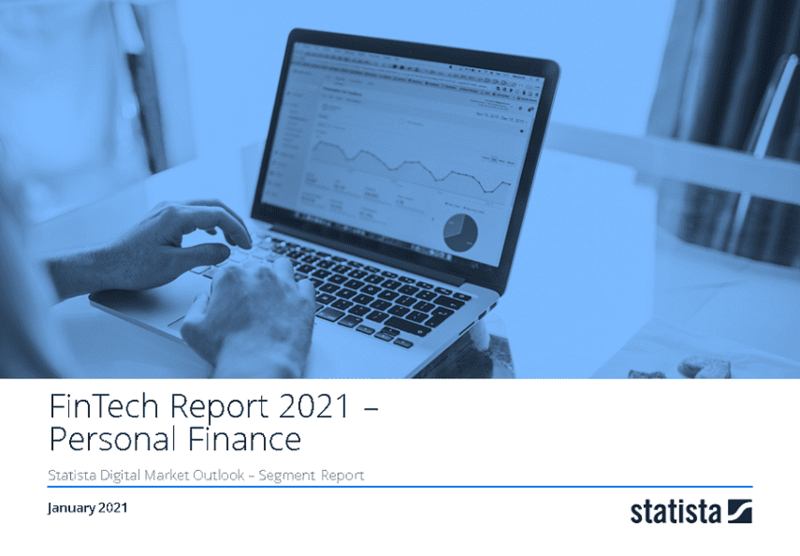 Reading Support The average assets under management per user in the Robo-Advisors segment amounts to US$21,421 in 2019. The box shows the average annual stock of assets under management per user (or potential user) of the selected market (market segment, region) for each year. A definition and detailed explanation of the displayed markets can be found here. Reading Support With a total transaction value of US$749,703m in 2019, the highest value worldwide is reached in United States. The box shows a comparison of assets under management for 50 of the world’s leading digital economies in the selected market (market segment, region) and year. A definition and detailed explanation of the displayed markets can be found here. Here you can find more studies and statistics about "Robo-Advisors".